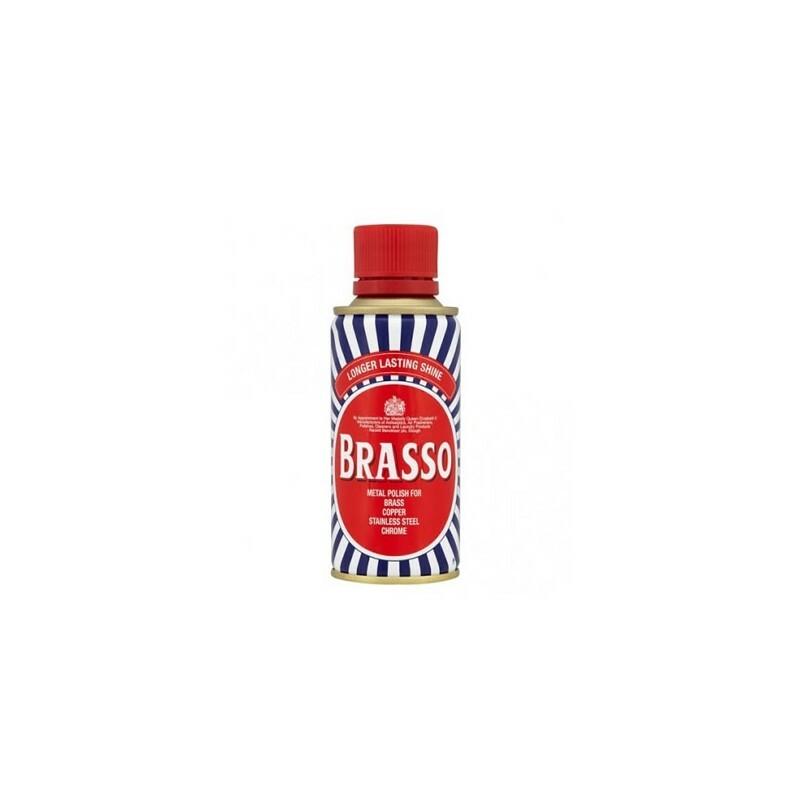 Buff your brass up to a high shine with the Brasso Metal Polish. 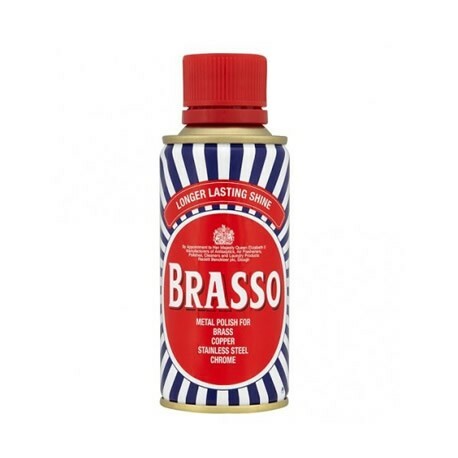 Usage: Metal polish for brass, copper, pewter and chrome. Ingredients: C8-10 alkane, cycloalkane, aromatic hydrocarbons, quartz, ammonium tallate, colorant. Instructions: Shake well, apply with a soft cloth. Buff before polish has completely dried.